How many types of printer there are? A type of printer that produces characters and illustrations by striking pins against an ink ribbon to print closely spaced dots in the appropriate shape. Dot-matrix printers are relatively expensive and do not produce high-quality output. However, they can print to multi-page forms (that is, carbon copies), something laser and ink-jet printers cannot do. speed: Given in characters per second (cps),the speed can vary from about 50 to over 500 cps. 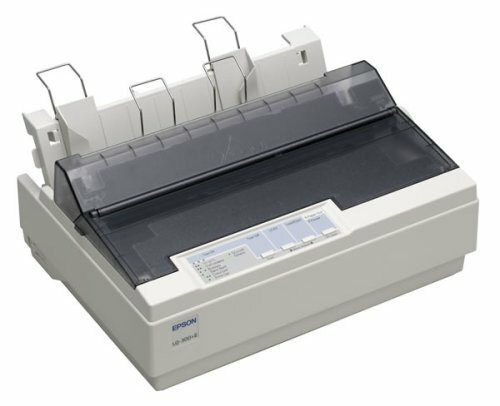 Most dot-matrix printers offer different speeds depending on the quality of print desired. print quality: Determined by the number of pins (the mechanisms that print the dots), it can vary from 9 to 24. The best dot-matrix printers (24 pins) can produce near letter-quality type, although you can still see a difference if you look closely. In addition to these characteristics, you should also consider the noise factor. Compared to laser and ink-jet printers, dot-matrix printers are notorious for making a racket. A laser printer is a popular type of personal computer printer that uses a non-impact (keys don't strike the paper), photocopier technology. When a document is sent to the printer, a laser beam "draws" the document on a selenium-coated drum using electrical charges. After the drum is charged, it is rolled in toner, a dry powder type of ink. The toner adheres to the charged image on the drum. The toner is transferred onto a piece of paper and fused to the paper with heat and pressure. After the document is printed, the electrical charge is removed from the drum and the excess toner is collected. Most laser printers print only in monochrome. A color laser printer is up to 10 times more expensive than a monochrome laser printer. IBM introduced the first laser printer in 1975 for use with its mainframe computers. In 1984, Hewlett-Packard revolutionized laser-printing technology with its first LaserJet, a compact, fast, and reliable printer that personal computer users could afford. Since then, laser printers have decreased further in price and increased in quality. Hewlett Packard continues to be the leading manufacturer with competitors including Lexmark, Okidata, and Xerox. The laser printer is different from an inkjet printer in a number of ways. The toner or ink in a laser printer is dry. In an inkjet, it is wet. Over time, an inkjet printer is about ten times more expensive to operate than a laser printer because ink needs replenishing more frequently. The printed paper from an inkjet printer will smear if wet, but a laser-printed document will not. Both types of printer operate quietly and allow fonts to be added by using font cartridges or installing soft fonts. If your printing needs are minimal, an inkjet printer is sufficient. But if your printing volume is high, consider buying a laser printer. Print capacity and speed: Personal laser printers are sufficient for printing an average of 200 pages per week. These are low-end and cost $200 and up. They can print up to eight ppm (pages per minute). A workgroup printer is needed if an average of 1000 pages per week is needed. These print up to 24 ppm and cost $1000 to $6000 and more. Production printers are needed for printing 50,000 or more pages per week. These are quite expensive and are used by commercial publishers. They can print up to 700 ppm and cost $100,000 and up. They can print 24 hours a day, seven days a week. Resolution: The standard resolution in most laser printers today is 600 dots-per-inch ( dpi ). This resolution is sufficient for normal everyday printing including small desktop publishing jobs. A high-end production printer might have a resolution of 2400 dpi. Some laser printers still use a resolution of 300 dpi. This resolution can cause jagged lines to appear on the outer edge of an image. Hewlett Packard created RET (Resolution Enhancement Technology) to correct this. RET inserts smaller dots at the edges of lines and to smooth the rough edges. RET does not improve the resolution, but the document looks better. If you purchase a printer with 300 dpi, make sure it has RET. Printer languages: Printer Control Language ( PCL ) is the standard printer language for Hewlett Packard and most other laser printers (which are mostly HP-compatible). PCL is used for printing letters, database printouts, spreadsheets, and simple graphics. Postscript printers are used with desktop publishing software and drawing packages. Postscript printers are the norm for Apple Macintosh printers. A laser printer that comes with Postscript installed is more expensive. A laser printer that uses PCL can be upgraded to Postscript by installing a software driver provided by the manufacturer of the laser printer. The printer might require more memory when upgraded to use Postscript. This is because a laser printer needs the entire image in memory before printing, and a Postscript printer requires more memory to process than a PCL printer does. The application being used must support Postscript in order for the laser printer to print Postscript documents. Paper handling: Paper handling is important when shopping for a laser printer. Most laser printers use letter-size, cut-sheet paper. High-end production printers use continuous sheet paper. Laser printers can print on transparencies, adhesive labels, and lightweight cards. 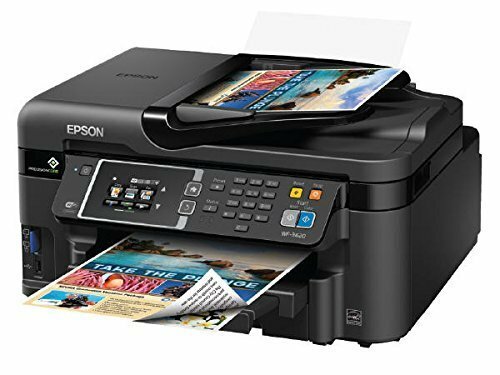 A laser printer with duplex printing can print on one side of the paper, turn the paper over, and print on the other side. 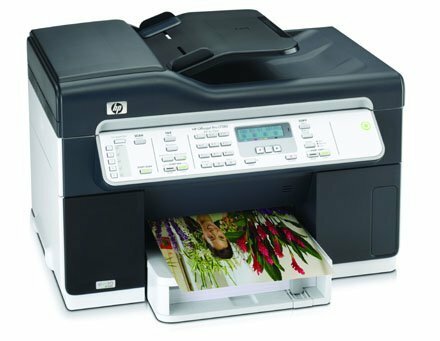 Most laser printers, however, use simple printing with manual duplex printing. Manual duplex printing is achieved by changing the print options in the printer's properties or printing one side and taking that same paper and reinserting it into the printer to print on the other side. FPOT and warm-up time: A final consideration in purchasing a printer is FPOT (first paper out time) and warm-up time. When a laser printer receives data from the computer to print, it takes 5 to 30 seconds to prepare the printer to print a new job. This is in addition to the time it takes to actually print the document. The warm-up time is as important. When the printer is turned on, it needs time to warm up the fuser to operating temperature. If the printer has a standby mode or is turned off between printing jobs, the warm-up time becomes even more important. Large workgroup and production printers can take 5 to 15 minutes to warm up. This waiting period can hinder overall productivity. The concept of inkjet printing originated in the 20th century, and the technology was first extensively developed in the early 1950s. Starting in the late 1970s inkjet printers that could reproduce digital images generated by computers were developed, mainly by Epson, Hewlett-Packard (HP), and Canon. In the worldwide consumer market, four manufacturers account for the majority of inkjet printer sales: Canon, HP, Epson, and Brother. Low Cost - Inkjet printers, overall, have lower sticker prices than laser printers. When the time comes, they are also cheaper to replace since it is often easier and cheaper to just buy a new printer if it breaks down. Overall, Inkjet printer is the most common choice for consumers. When visiting an electronics store, it is common to see a larger selection of Inkjet printers than laser printers. Nowadays, consumers look for good quality printing at the lowest initial cost and Inkjet printers fits that criteria. Hewlett Packard, Canon, and Epson have proven to be reliable brands with models that fit the needs of most consumers.